I am interested in receiving more information from Serenity Spa. An intense and multi-sensory full body massage to unlock tension and relieve stress. A massage for total regeneration and improved wellbeing. Full body relaxing massage using marine products to help release toxins. Full body massage with dynamic movements and specific techniques to help reduce cellulite. Full body massage with light pressure to improve blood circulation and muscle relaxation. Full body massage with strong pressure and stretching to relieve muscles, tendons and ligaments. Full body massage applying pressure to specific points and with vigorous movements that relieve muscle pain and accumulated tensions. 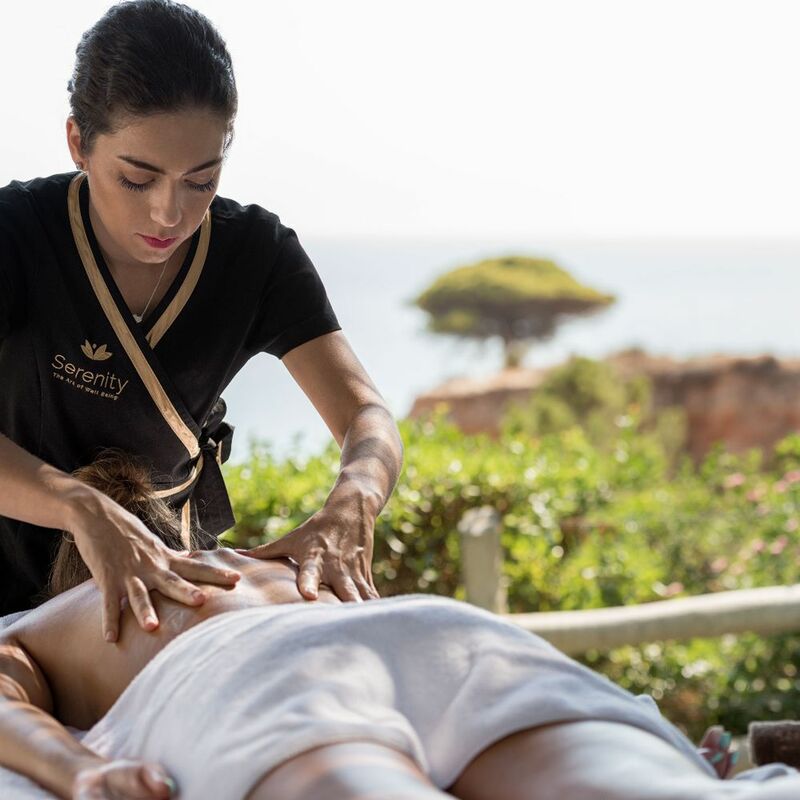 Deeply relaxing body treatment with natural oils for relaxation and an exceptional SPA experience. This nourishing treatment includes a blackcurrant seed body scrub, a Himalayan herbal poultice massage using rosehip seed & argan oil to support the fight against stretch marks, and to relieve aches & pains, excess fluid & heat. Full body Indian massage with specific essential oils to eliminate toxins and rebalance energy levels. Full body detox and de-stress massage performed with herbal oils. Feet massage with rhythmic pressure on reflex points. It stimulates blood circulation and recovers energy from the affected organs. Full body massage with vulcanic hot stones used to relieve pain and muscle tension. Full body balinese massage featuring two therapists giving a smooth and balanced treatment to relieve stress.